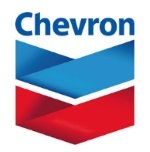 édité le 04/02/2015 - Plus de news de "CHEVRON" - Voir la fiche entreprise de "CHEVRON"
Chevron Corporation announced that its wholly-owned subsidiary Chevron Mauritania Exploration Limited has reached an agreement to acquire a 30 percent non-operated working interest in Blocks C8, C12 and C13 offshore Mauritania from Kosmos Energy. The transaction is subject to the approval of Mauritania's government. Blocks C8, C12 and C13 cover a contiguous area of approximately 6.6 million gross acres in water depths ranging between 5,249 feet (1,600 meters) and 9,842 feet (3,000 meters). Under the agreement, Kosmos Energy retains a 60 percent interest and remains the operator. Société Mauritanienne des Hydrocarbures et de Patrimoine Minier (SMHPM), Mauritania's national oil company, will continue to have a 10 percent interest. Following any commercial discovery after the exploration phase, Chevron will become the operator maintaining a 30 percent working interest.